Based in Blackburn, Whitestone Garage stocks a number of used cars in excellent condition. 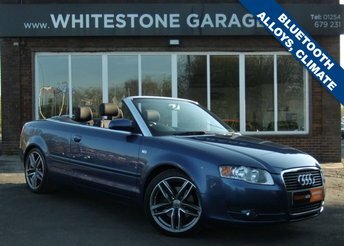 Whether you are looking for an executive saloon, like the stunning Audi A6 or perhaps something speedy but agile like the A1 Sportback, Whitestone Garage has something suited to everyone. Our team of finance experts will ensure you get a fair and affordable finance deal on a second-hand Audi that is right for you. Whatever your credit history, simply contact our team to discuss your finance options. Audi is amongst the UK's most renowned premium vehicle manufacturers, with a fleet that covers almost every segment of the motor market, from stylish compacts to sporty saloons, to cabriolets and even larger vehicles made for unforgettable off-road experiences. 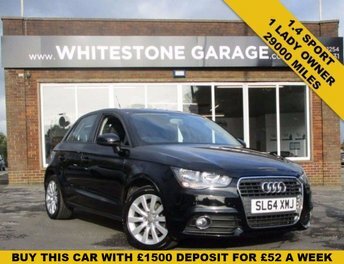 Find the used Audi car for you at Whitestone Garage today!